Cathy has been employed in the eye care/medical field since 1982 and joined our staff in 2004. Cathy will gladly schedule your appointments, take your phone calls, and answer any questions you might have about our office. There is rarely a question Cathy doesn't know the answer to! Many times we can hear Cathy's cheerful voice as she welcomes patients to our office. Since Cathy had many years as on ophthalmology surgical nurse you may find her assisting the doctors in the exam room as well as helping out just about anywhere else in the office. Cathy lives in Custer with her husband. She enjoys reading, sports, and traveling with friends and to visit her amazing daughter in the Pacific Northwest. Jenny has worked in the medical industry since 1985, and specifically in the eye care industry since 2004. Jenny joined our staff in 2011 as an optometric technician. In addition to doing exam pre-testing and scribing, Jenny conducts special testing such as Visual Fields and Retinal Photos. We rely a lot on Jenny's ability to navigate the pharmaceutical company "red tape" in order to help patients get their medications authorized and covered. Jenny lives in Scottville with her husband and two sons. Her summers are spent at Tamarac Village on Hamlin Lake. In her spare time, she enjoys gardening, needlework, and reading. Megan joined the staff at West Shore Eye Care as receptionist in September 2014. Megan will answer your calls, schedule your appointments, and will answer any questions you may have about our office, in particular your billing questions. She has been in the eye care industry since August 2013. In August of 2016 Megan took over our medical billing services. She grew up in Bear Lake and moved to Fountain in 2011 where she lives with her son and husband. Megan enjoys spending time with her family, camping, scrap booking, and taking her little guy for walks and bike rides. Jennifer joined our staff as a receptionist in May 2017. She enjoys helping others and will always greet you with a smile. She has been in the medical field since 2007. She will be happy to take your calls, schedule appointments and obtain answers to any questions you may have about our office. She has lived in Ludington all her life. When Jennifer is not in the office you will find her spending time with her husband, family and friends at their nearby cottage. She is a proud parent of an adult son and two labradoodles. Rachel joined our staff in 2015. Prior to her employment at West Shore Eye Care Rachel spent 4 1/2 years as an optical receptionist offering exceptional customer service. She began her career as an Optician in 2013. In June of 2018, Rachel became an ABO certified optician. Rachel is exceptional at assisting patients with eyeglass repairs, visual fields, contact lens fittings, and dispensing new eyewear. Rachel and her children reside in Baldwin. Away from the office, her hobbies include singing and baseball. Jeri's lifelong career in the eye care industry unfolded in 1977. 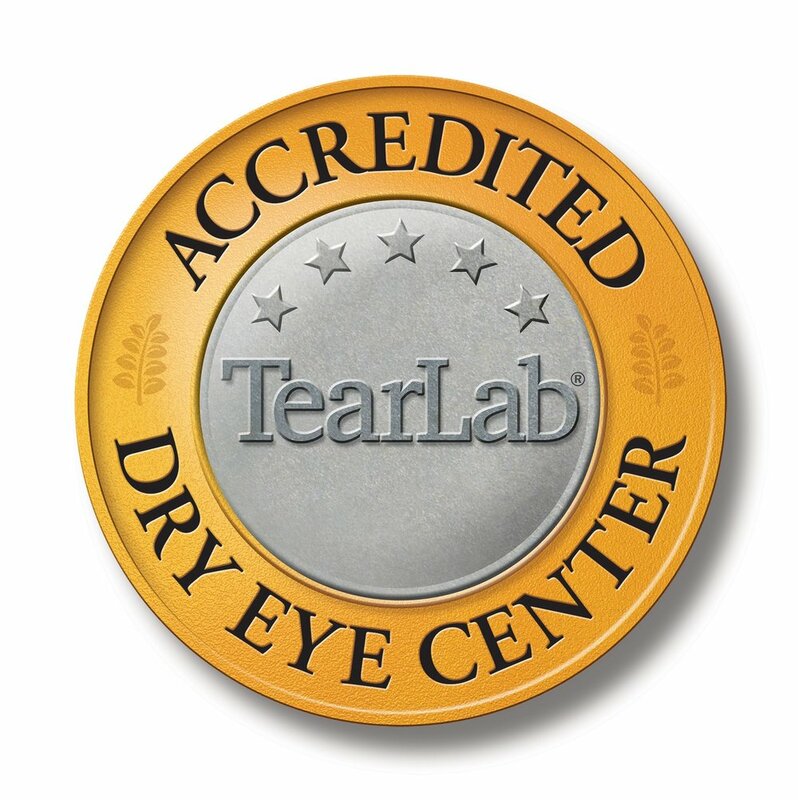 While employed by Dr. Tewel & Dr. Poposki she became American Board of Opticianry certified. She went on to become certified by the National Board of Contact Lens Examiners, became a Fellow of the National Board of Opticians, and the Joint Commission in Ophthalmology as an Ophthalmic Technician. In 1986, Jeri joined WSEC as a lab assistant & optician, leaving in 1994 for a position at Reimer Eye Center where she was an optician for 21 years. Jeri is back at West Shore Eye Care and we are excited to have someone with such vast knowledge of the eye care industry on staff. Jeri & her husband John enjoy spending time with their two adult children and extended fur family of cat, dog & horses. Eva joined our team as an Optometric Technician in 2016. In addition to her duties as a technician, Eva is our marketing and technology "go to" person! She keeps us in the news on Facebook and Instagram and organizes our community service projects. Eva is a 5th generation resident of Pentwater. Following graduation from Pentwater Public Schools she earned her BS from Western Michigan University in Biomedical Sciences with a dual minor in Chemistry and Psychology. She remains very involved in the Pentwater community. Janet joined our staff as an optometric technician in June 2017. She was born in Fort Knox, Kentucky where her father was in the Army. She graduated from Mason County Central in 1986 and attended West Shore Community College. She has worked as a CNA at Oakview Medical Care Facility and worked at Riemer Eye Center for 15 years, where she obtained her COA. She is happily married with two children and two grandchildren. Janet loves to garden, camp, kayak, knit & crochet. Her favorite way to spend her time is with her grandchildren. Angie joined our staff as a receptionist in May 2017. She has been in the customer service field for many years. She enjoys helping others and will always greet you with a smile! While she is new to the eye care industry, she is quickly learning in order to be able to assist you with any questions you may have. Angie has been a resident of of the area for four years with her husband, son, and daughter; and she is thoroughly enjoying all the area has to offer. She is an avid photographer and takes much delight in sharing her country views, gardening accomplishments, flowers, and her chicken adventures. She also fills her time with family activities, reading, baking, and crafting. Rachel joined the staff at West Shore Eye Care in May 2018. She began her ophthalmic journey at Riemer Eye Center in September 2011, where she learned a wealth of ophthalmic information and skills. In addition to doing exam pre-testing and scribing, Rachel enjoys doing special testing such as Visual Fields, Retinal Photos, and Macular scans. Rachel lives south of Ludington with her husband and two younger children, as her older daughter is away at college. In her spare time she enjoys attending sporting events of her husband and son, re-purposing furniture, spending time with friends and family, and watching her daughter's dance recitals.